I love America, I really do. Everyday I am appreciative of all of the things that others before me have done to ensure that I can live the life that I do here, in America. 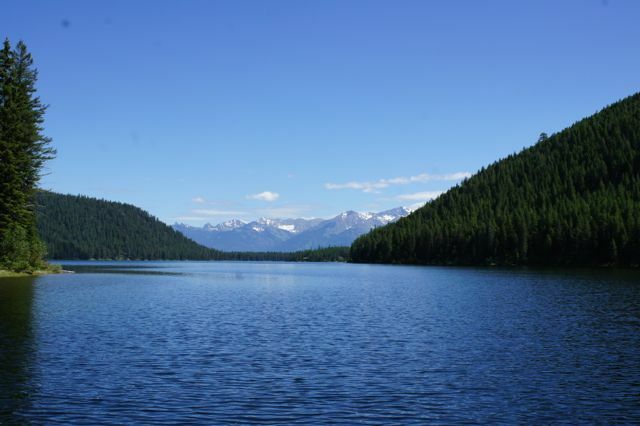 Of all the places I have gone Montana still holds a special place for me and even though I am biased, it is still the best place in the world (if for only the summer months). The Salmonflies were done doing their thing but there were lots of Drakes, Goldens, and even some Caddis. I got this box for my dad for Christmas and it appears he has made good use of it. We used lots of Rogue Golden Stones and Drake cripple patterns and because of that it was one of the first times in months that I didn’t touch a nymph all day. 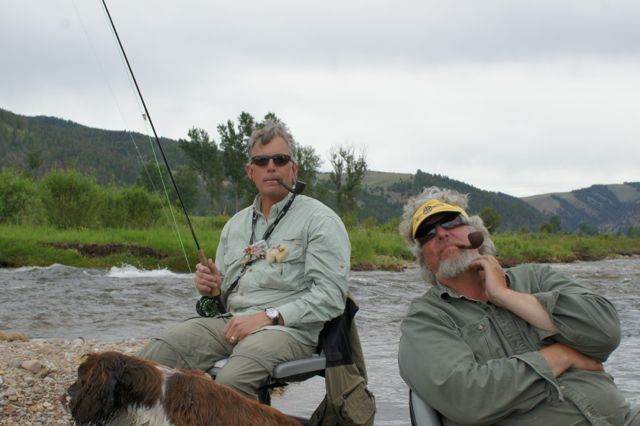 Fishing is always better with friends and we were fortunate enough to have several join us. Our flotilla consisted of three boats but only one required you to smoke pipe tobacco to stay in it. 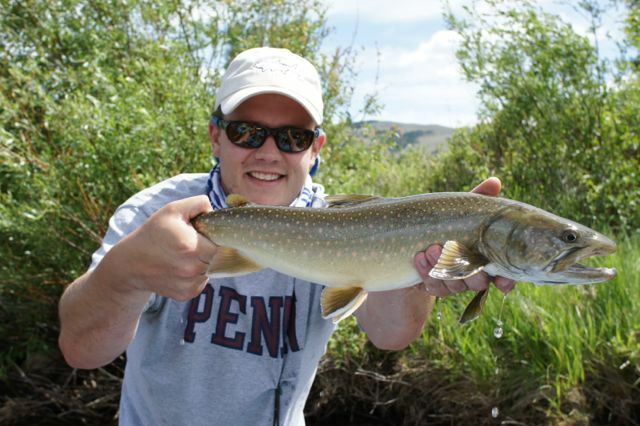 A bull trout inhaled a small cuttie that I had on. As I was getting the fish close to the boat I saw a black torpedo inhale its prey. I screamed at the guy on the sticks to keep up with the run that he took me on and after a frantic few minutes we subdued the little bullie. There are few things as cool as watching a bull trout zero in on its prey, they are experts at blending into their environment and striking at the perfect moment. For me it doesn’t get any better than this, wide open spaces and uncharted waters. It would take me a lifetime to figure out most of these watersheds but I try my best for the few days a year I get to go. What Is It Like In Montana? This made me laugh and miss home. Enjoy. As advertised, yesterday was the final installment of propping up my lackluster trout fishing summer. 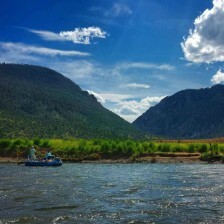 The Blackfoot called my name and these days because of inter-tubing stimulus recipients the canyon stretch is just about the only show in town (see local fishing reports). 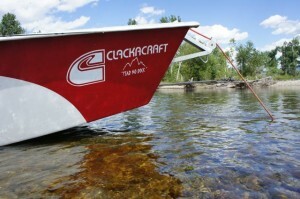 My father drummed up John Howard again to provide boating and rowing services, compliments of the ClackaCraft. I’m happy to report that the Clacka indeed fears no rocks, as we tested every fiberglass seam in the hull. 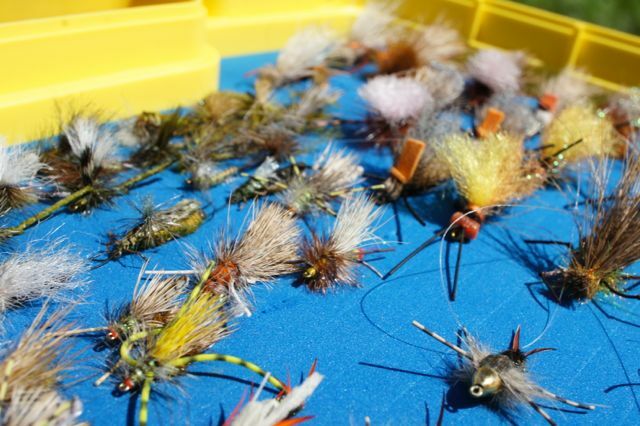 The day consisted mostly of fluffy terrestrials tempting eager Westslope Cutthroats. Being delegated to the back of the boat for the day I tried to dredge a monster off of the bottom but I was unsuccessful, despite throwing every streamer in my box. We rounded out the day catching a fair number of trout, nothing huge, but enough to make me a happy man. 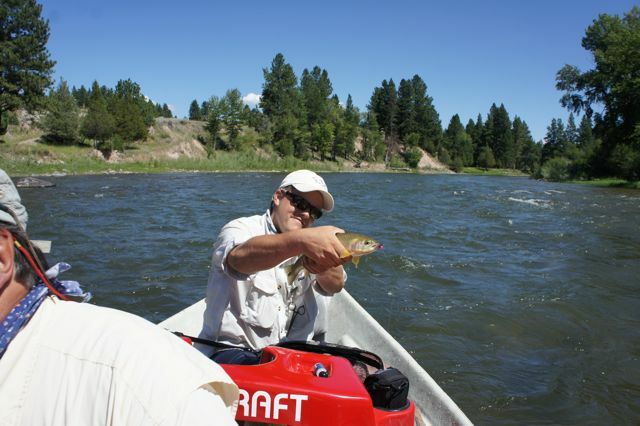 The Blackfoot is a river where you can find peace, which is perhaps why Norman Maclean was so successful in conveying his message. The world is changing, but for an afternoon I felt like I was transported back to my childhood, when life was simple. I returned to work today a rejuvenated man, ready to attack the challenges that lay ahead. 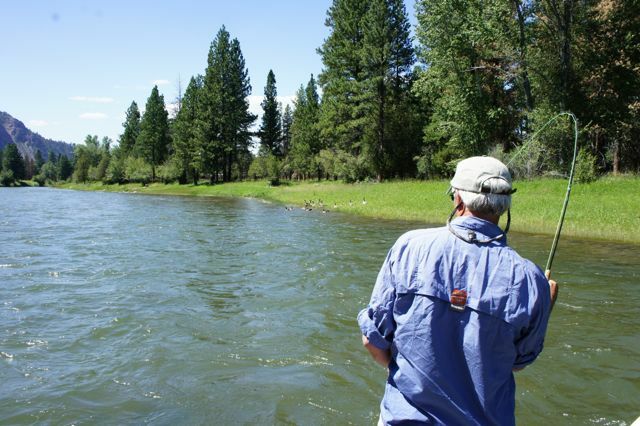 Fishing has a way of doing that, and so I have concluded that fishing, at least for me, is the best treatment for when the rest of life might not be going your way.